Item # 315712 Stash Points: 395 (?) This is the number of points you get in The Zumiez Stash for purchasing this item. Stash points are redeemable for exclusive rewards only available to Zumiez Stash members. To redeem your points check out the rewards catalog on thestash.zumiez.com. Distinguish your favorite belongings with the Petty Snacks Shaka Brah Sticker. 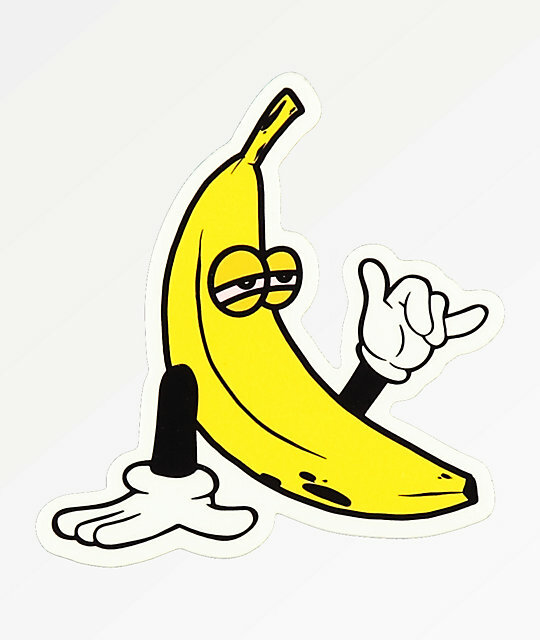 This comical peel and stick accessory features the brand's signature unenthusiastic banana character throwing up the shaka sign. Shaka Brah Sticker from Petty Snacks. Graphic of a cartoon banana. 4" x 3.75" | 9.5cm x 10cm (approx. ).